Far more focused and dramatically credible than Bessai’s previous film... pic hits all the right technical notes. 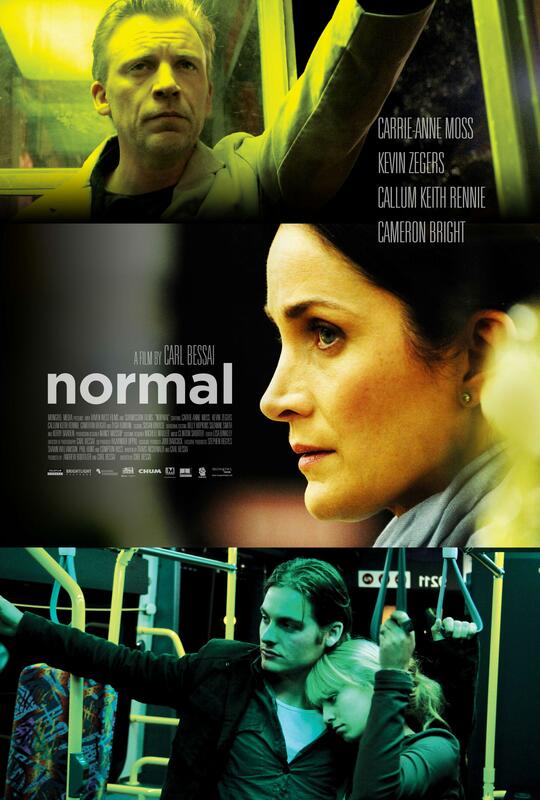 NORMAL explores the lives of three strangers who are struggling for control, having failed to confront their roles in a tragic accident two years earlier. Catherine is a well-to-do suburban mother who has lost the ability to connect on any level with her surgeon husband and twelve-year-old son after the loss of her elder son. Walt is a failed writer and philandering university professor who deals with impending middle age and haunting memories by sabotaging every relationship around him. Jordie is a sensitive teenager who made a wrong choice one night and although he’s paid the price, still can’t halt his journey downward.